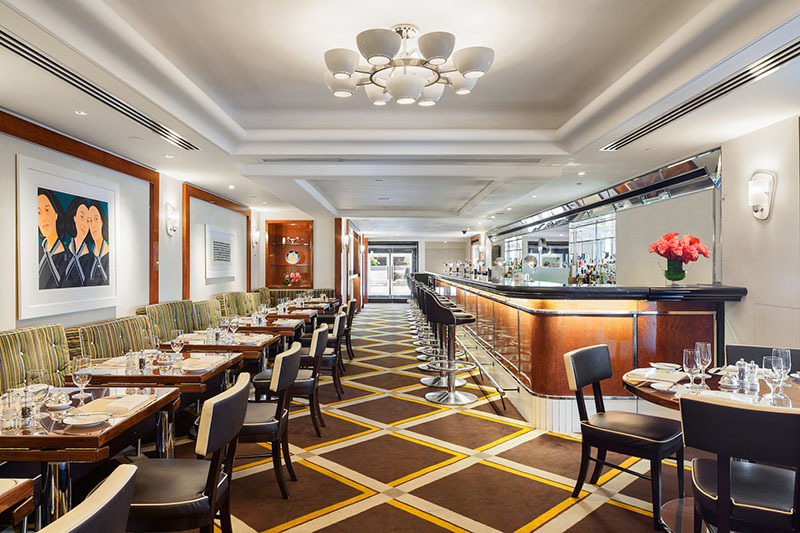 The iconic Pierre, A Taj hotel, debuted “Perrine,” their new culinary offering, last year under the supervision of Executive Chef Ashfer Biju. Vegetable-forward dishes take command of this seasonally inspired menu where a side dish such as kale is married with sweet onion, and chilled sweet pea soup blends harmoniously with radishes and mint. For main dishes, the Lamb Chops are a must-try, as is the Black Bass in a seafood broth with fresh fava beans. Chef Biju pays homage to both his upbringing in India’s fishing town of Kerala and his French culinary training with a menu that will delight both the carnivore and vegetarian. His love of seafood is evident with a selection of simple, yet elegant dishes that are both flavorful and fresh. Be sure to leave room for dessert because their Banana Cream Pie will knock your socks off! The restaurant also underwent a soft renovation to feature a brighter setting with open windows and natural light. Looking for the perfect al fresco experience? The restaurant debuted the “Rosé Terrace at Perrine” this past April, where guests can enjoy the spring menu in the outdoors. Also, coinciding with the 10th anniversary of everyone’s favorite Rosé, Whispering Angel, the “Rosé Terrace at Perrine” will play host to a series of events throughout the summer months in partnership with the producer of Whispering Angel, Château d’Esclans. Their weekly Rosé Thursdays Happy Hour from 5pm – 8pm, featuring specially crafted appetizers paired with a glass of Rosé is the perfect way to kick off the impending weekend.